Alexey D. Koshelev, born 1947. Education - Mathematics, PhD. in Mathematics. After defending his dissertation he worked in the Psychological Institute of the Russian Academy of Education in the laboratory “Mathematical Modeling of Mental Processes”. He studied problems: automatic handwriting recognition (semantic and syntactic levels), presentation of linguistic meanings, generation of lexical polysemy, etc. In 1993, he founded the Publishing House “Languages ​​of Russian Culture” (“LRC Publishing House”). Now he is the scientific editor-in-chief of this publishing house. 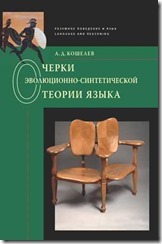 Author of the monograph Cognitive analysis of universal human concepts (Moscow, 2015) and a number of articles on cognitive semantics, theoretical linguistics, lexical and grammatical polysemy, the history of linguistic theories, the theory of comic and laughter, human locomotions, general theory of development and related subjects.